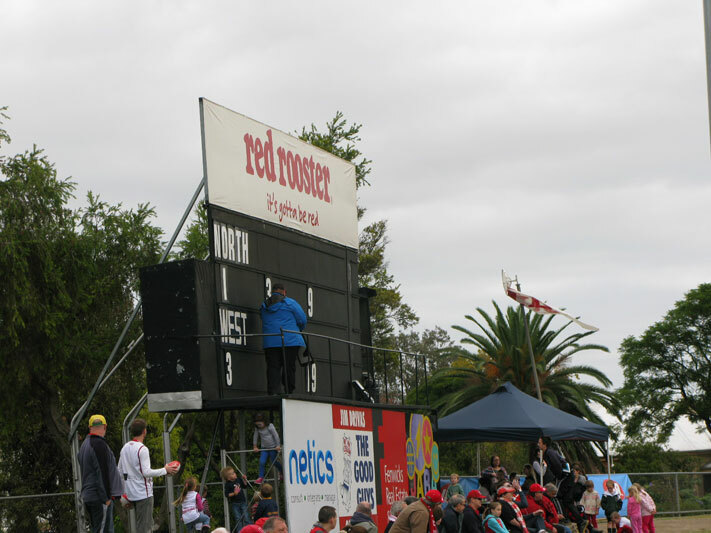 This game between North Adelaide and West Adelaide was played at Prospect Oval on Sunday 2 June 2013. 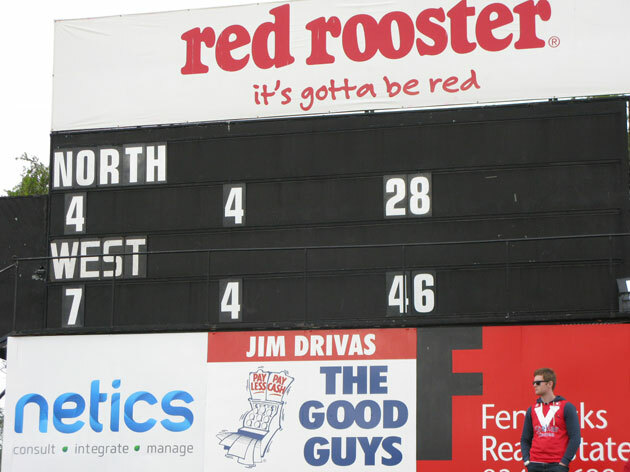 The home team was in trouble on the scoreboard in the first half but got the numbers working in their favour in the second and beat the Bloods. 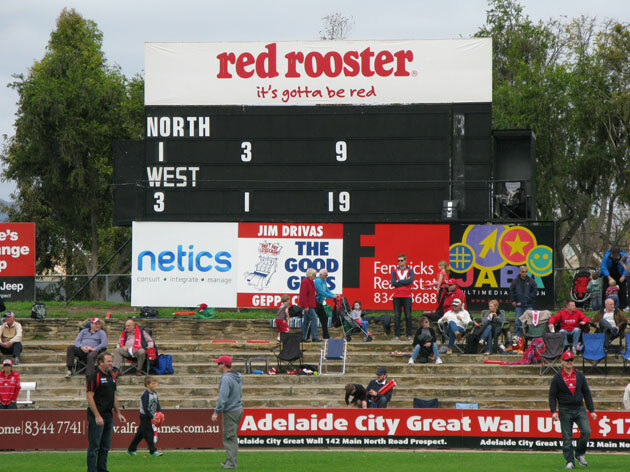 Prospect Oval was opened in 1898 and North Adelaide, the Roosters, started playing there in 1922. Thousand goal full forward Ken Farmer and triple premiership player Barrie Robran are probably the greatest Roosters. 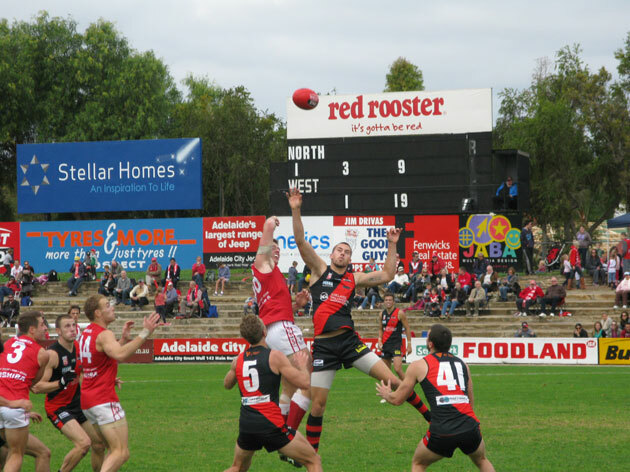 There was an interesting contrast at this game in comparison to a WAFL game. 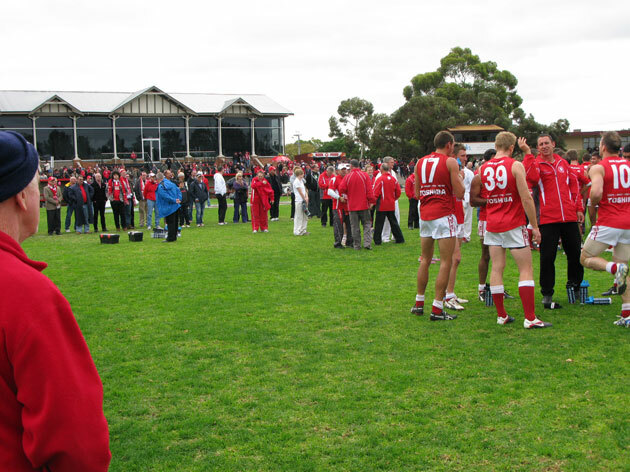 While the crowd seemed closer to the action and the oval smaller than WAFL grounds, the spectators gave the huddle a lot more room than WAFL crowds do at quarter and three quarter time.